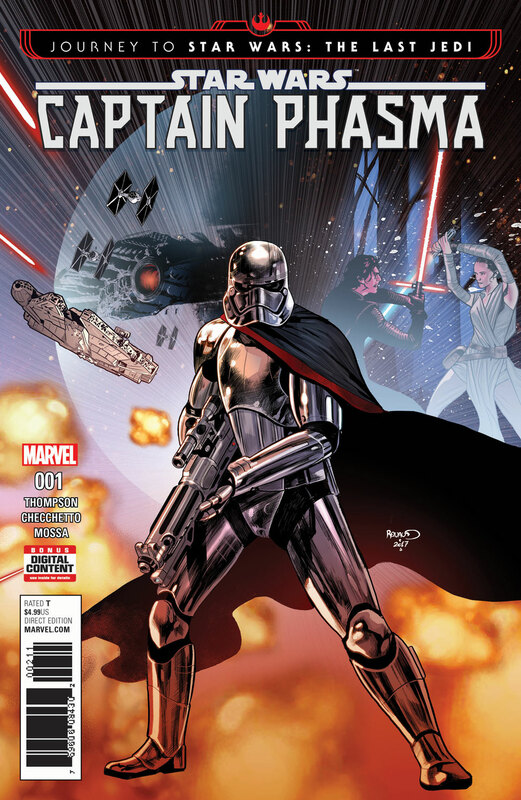 Back at Star Wars Celebration Orlando in April, it was announce that Captain Phasma (played by Gwendoline Christie in The Force Awakens and The Last Jedi) would be getting a four issue comic book mini series and novel in September 2017. Today, Marvel comics released the first official preview of the first issue of Star Wars: Journey to The Last Jedi -- Captain Phasma #1. 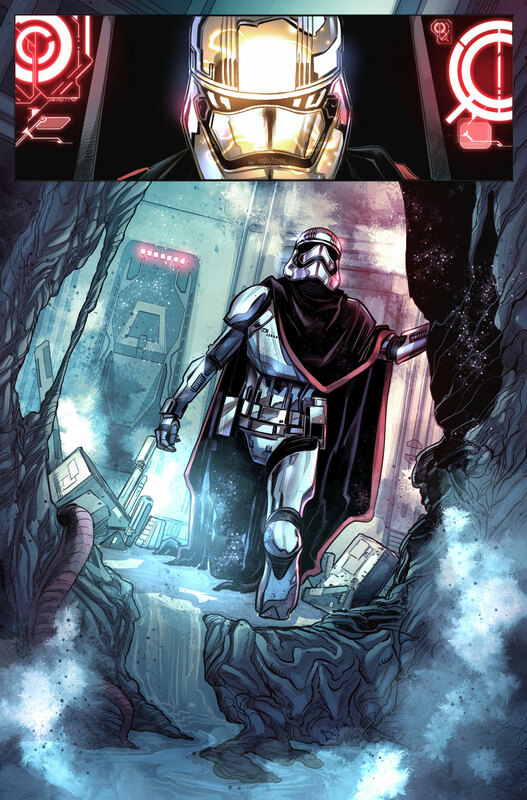 The issue, which is written by Kelly Thompson (Star Wars Annual #2) with art by Marco Checchetto (Star Wars: Shattered Empire), will tell the story of what happened to Phasma after Finn and Han Solo threw her in the Starkiller Base trash compactor in The Force Awakens. “The Star Wars films, with so many fantastic characters, obviously can't be a ‘Phasma story,’ and it's especially cool that Phasma is getting explored in depth in both her forthcoming novel and comic book. The most exciting thing to me about our mini-series is that we were given the awesome responsibility of bridging a gap between Force Awakens and Last Jedi – of answering the question of what happened to Phasma after she went into that trash chute. 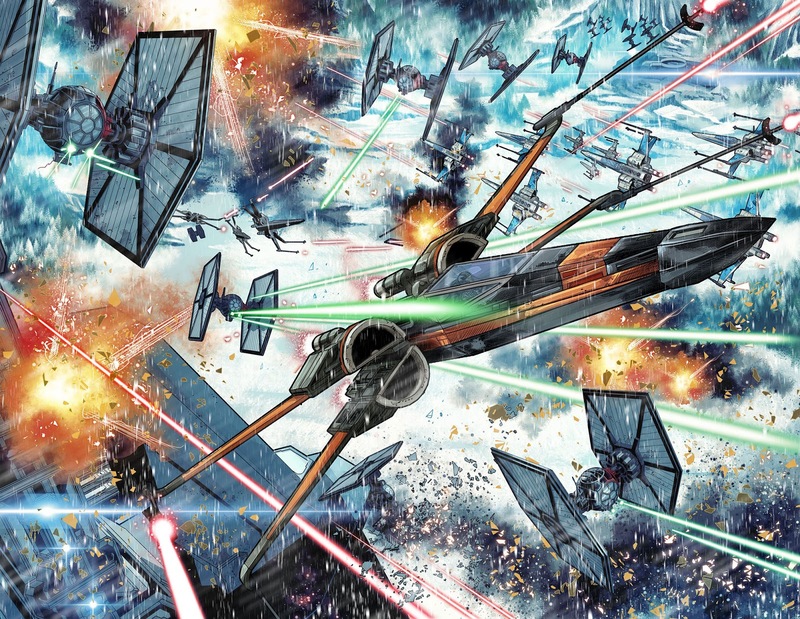 Anytime you get to write official Star Wars is pretty incredible, but getting to decide what that link is, for a super intriguing character in some of the most epic movies of all time, is next level!" 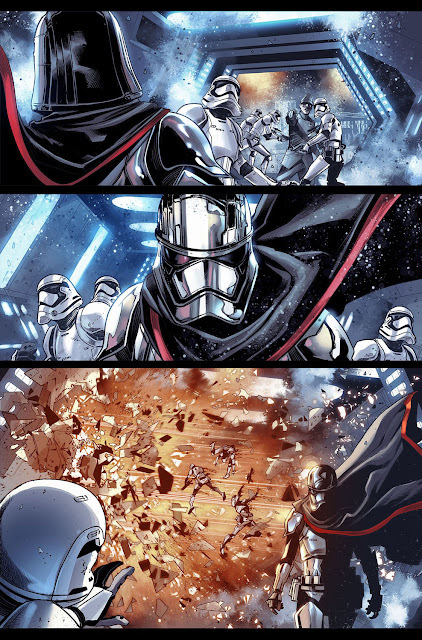 Star Wars: Journey to The Last Jedi -- Captain Phasma #1 hits shelves in September. 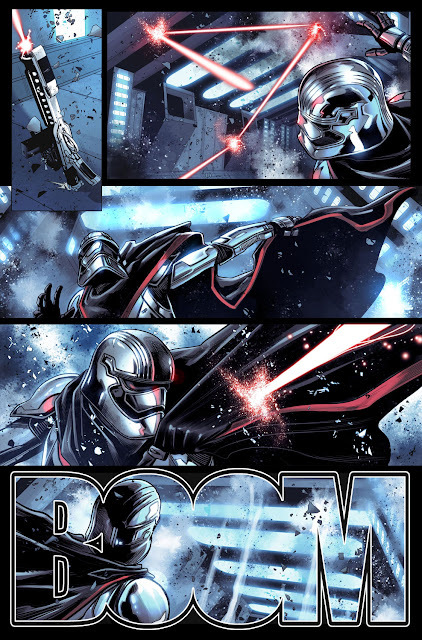 Also hitting shelves in September is the novel Star Wars: Phasma by Deliah S. Dawson, which will tell Phasma's backstory.